RJV 's Blog: A little more CSS magic ! One of the coolest things about CSS and jQuery is the simplicity that you can achieve in design. The vertical line is not a .gif or an image but a line drawn, given co-ordinates in pixels. 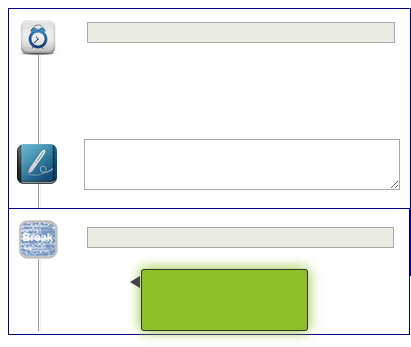 The CSS for the same is in this fiddle that I have created for you to play around with. And with a little jQuery, the animation of the timeline becomes simply simple!